Click here to donate & make more of these success stories! in the poll at the bottom of the page. Here are a handful of the success stories people like you’ve made possible by supporting this affordable housing ministry with financial gifts or by volunteering time. If you would like to contribute to more success stories like these, click here to give. When little K’Hairi climbed upon Santa’s lap each Christmas, he didn’t ask for toys or even for his sickle-cell anemia to be cured. He only asked for his mom, an Army veteran, to have a decent place to live. It proved too great a request for Santa Claus but not for Fuller Center volunteers. She now owns an affordable home and can better care for K’Hairi. "The Fuller Center freed me"
Thad was depressed for nearly a decade after an accident left him paralyzed. 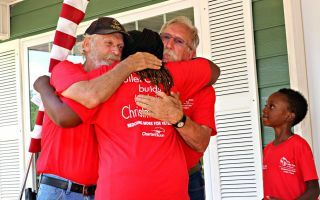 But after partnering to build a wheelchair-accessible home — and contributing more than his required “sweat equity” — he felt empowered and grateful. He now volunteers his time to help others and leads student groups who come to work in Americus, Georgia. Cindy’s family was the first we met in Las Peñitas, Nicaragua, and they captured our hearts with their joy — though they lived in a shack much like the rest of the families in the fishing village. 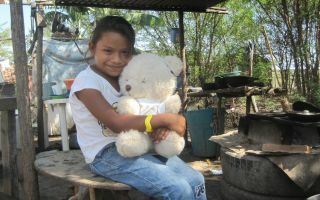 Her family would become our first homeowner partners in Nicaragua. Cindy is all grown up, and the village has been completely transformed by 120 more new homes. 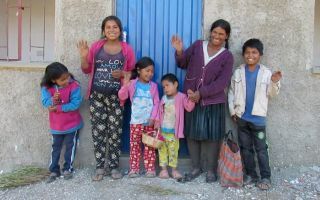 Ana left the slums of Lima with her three children and took off for the mountain community of La Florida, Peru, in total desperation after hearing about The Fuller Center’s work there. She built a new home and says she discovered a new “Ana.” Her children are thriving, and she has become a popular elected official and community leader. “It sounded too good to be true,” says Lorie, who was born with a severe disability that affects every joint in her body and limits her range of motion. At last, she agreed to partner to build a home that fits her needs. She performed her required “sweat equity” in an office and then joined the local covenant partner’s board of directors. Army veteran Cliff struggled in his return to civilian life and wound up homeless. But today he lives on a street of homes occupied by fellow veterans. His home’s many volunteers included Grammy-winner John Mayer (above). Cliff had no idea who Mayer was at the time, but they became big fans of each other. Cliff now works with other struggling veterans. “Domiks” are shipping containers that the Soviet Union used as temporary shelters after the 1988 earthquake in Armenia. But the Soviet Union collapsed, and many families still live in those metal containers. We’ve helped more than 650 families build decent homes, often partnering with parents who grew up in domiks and want better for their children. 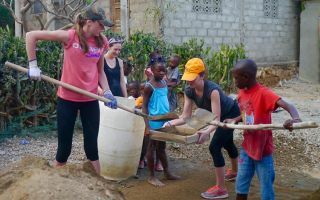 Decades of well-meaning handouts fostered a culture of dependency in Haiti — so much so that we were told our model of enlightened charity in which families work alongside our volunteers and repay costs of materials would never work. More than 200 homes later, the empowering hand-up model proves to Haitians they can help themselves. The issues of housing and health are inextricably linked. In the hard-to-reach mountain village of Mizque, Bolivia, families were terrorized by the Chagas bug which made its home in the mud and straw of families’ huts. It bit them and laid eggs in their skin, causing Chagas disease. With 66 new homes, Mizque has won its battle against Chagas. Please select your favorite of these 9 success stories. Thank you for voting. To contribute to more of these success stories, please click below.